Thai food needs little introduction – its nice, simple, and comforting. 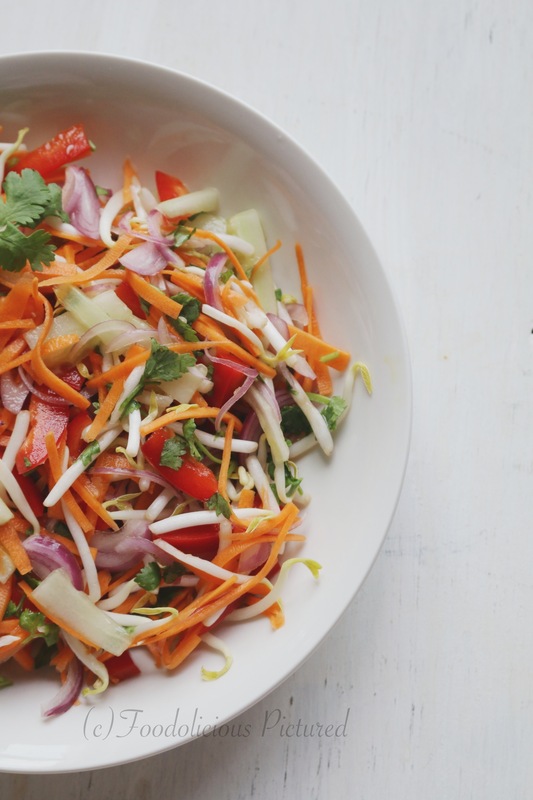 Be it a stir-fry, a bowl of soup, or a salad, I love the way simple ingredients come together to create a burst of flavours with an exotic touch. 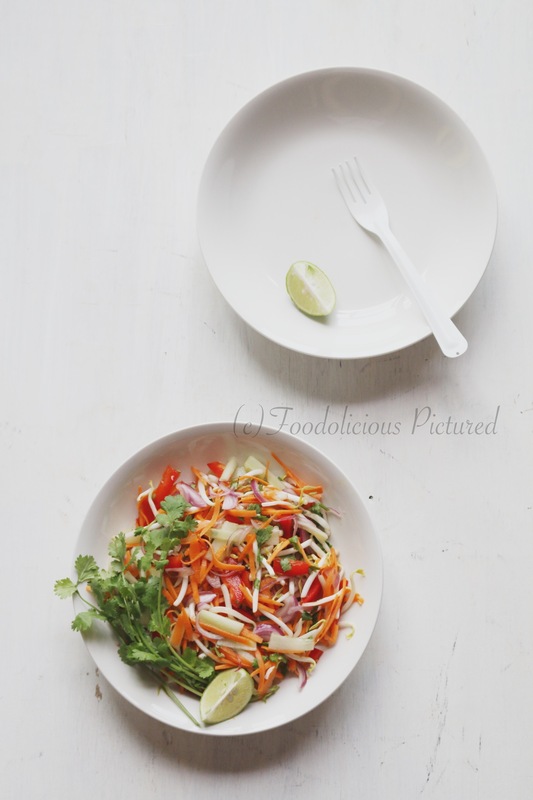 And this beautiful Thai vegetable salad does exactly that, that too with minimum effort – who said salads are boring!!! Pound together the chilies and garlic. Add the sugar, fish sauce, lime juice and mix well. Set aside. In a large bowl put all the veggies. Add the dressing and combine everything well. 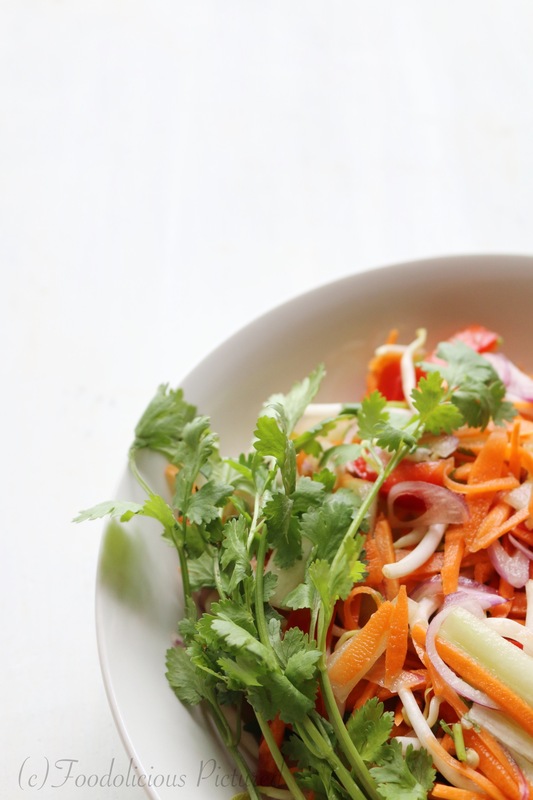 Sprinkle chopped coriander leaves and serve immediately. What an ensemble of colours. lovely, fresh and crunchy and such beautiful colors!